WASHINGTON -- Two studies based on data from NASA's Mars Reconnaissance Orbiter have revealed that the Red Planet once hosted vast lakes, flowing rivers and a variety of other wet environments that had the potential to support life. One study, published in the July 17 issue of Nature, shows that vast regions of the ancient highlands of Mars, which cover about half the planet, contain clay minerals, which can form only in the presence of water. Volcanic lavas buried the clay-rich regions during subsequent, drier periods of the planet's history, but impact craters later exposed them at thousands of locations across Mars. 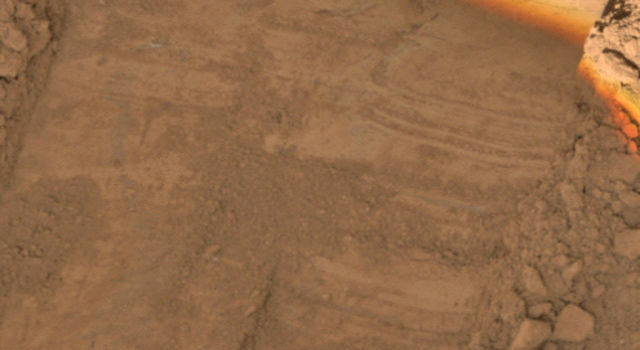 The data for the study derives from images taken by the Compact Reconnaissance Imaging Spectrometer for Mars, or CRISM, and other instruments on the orbiter. "The big surprise from these new results is how pervasive and long-lasting Mars' water was, and how diverse the wet environments were," said Scott Murchie, CRISM principal investigator at the Johns Hopkins University Applied Physics Laboratory in Laurel, Md. The clay-like minerals, called phyllosilicates, preserve a record of the interaction of water with rocks dating back to what is called the Noachian period of Mars' history, approximately 4.6 billion to 3.8 billion years ago. 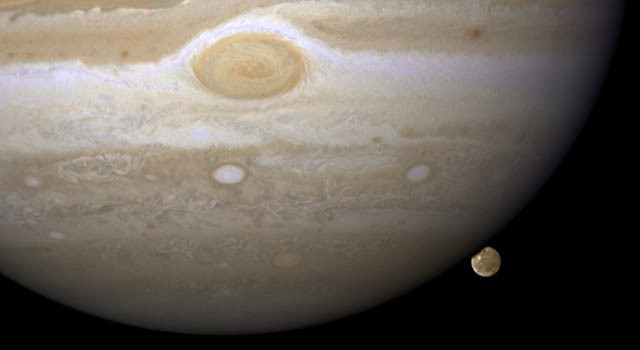 This period corresponds to the earliest years of the solar system, when Earth, the moon and Mars sustained a cosmic bombardment by comets and asteroids. Rocks of this age have largely been destroyed on Earth by plate tectonics. They are preserved on the moon, but were never exposed to liquid water. The phyllosilicate-containing rocks on Mars preserve a unique record of liquid water environments possibly suitable for life in the early solar system. 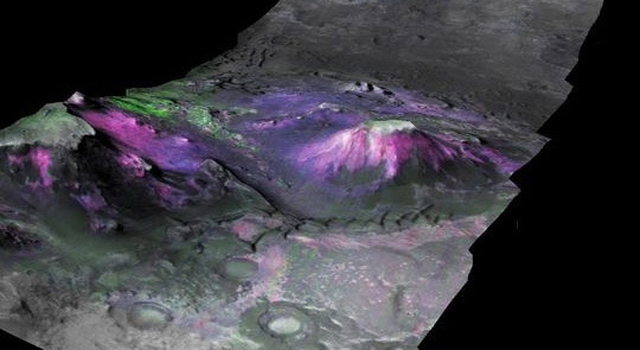 "The minerals present in Mars' ancient crust show a variety of wet environments," said John Mustard, a member of the CRISM team from Brown University, and lead author of the Nature study. "In most locations the rocks are lightly altered by liquid water, but in a few locations they have been so altered that a great deal of water must have flushed though the rocks and soil. This is really exciting because we're finding dozens of sites where future missions can land to understand if Mars was ever habitable and if so, to look for signs of past life." Another study, published in the June 2 issue of Nature Geosciences, finds that the wet conditions on Mars persisted for a long time. Thousands to millions of years after the clays formed, a system of river channels eroded them out of the highlands and concentrated them in a delta where the river emptied into a crater lake slightly larger than California's Lake Tahoe, approximately 40 kilometers (25 miles) in diameter. "The distribution of clays inside the ancient lakebed shows that standing water must have persisted for thousands of years," says Bethany Ehlmann, another member of the CRISM team from Brown. 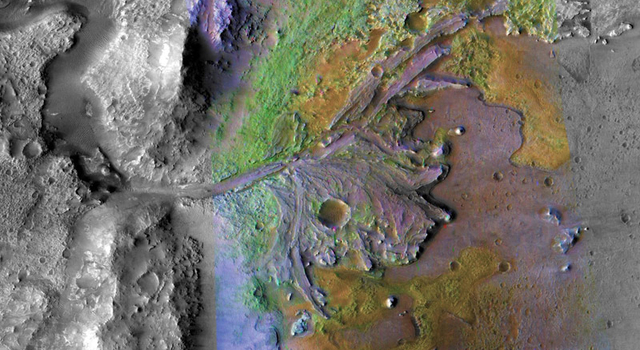 Ehlmann is lead author of the study of an ancient lake within a northern-Mars impact basin called Jezero Crater. "Clays are wonderful at trapping and preserving organic matter, so if life ever existed in this region, there's a chance of its chemistry being preserved in the delta." CRISM's high spatial and spectral resolutions are better than any previous spectrometer sent to Mars and reveal variations in the types and composition of the phyllosilicate minerals. By combining data from CRISM and the orbiter's Context Imager and High Resolution Imaging Science Experiment, the team identified three principal classes of water-related minerals dating to the early Noachian period. The classes are aluminum-phyllosilicates, hydrated silica or opal, and the more common and widespread iron/magnesium-phyllosilicates. The variations in the minerals suggest that different processes, or different types of watery environments, created them. 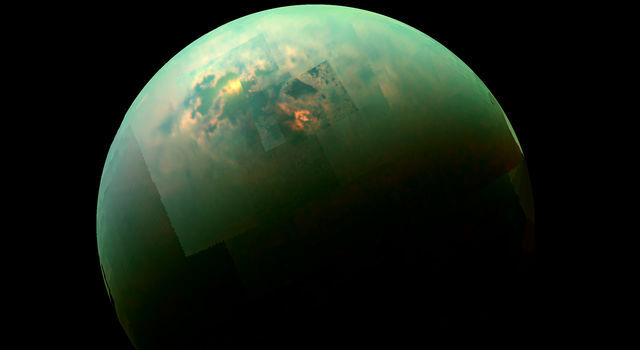 "Our whole team is turning our findings into a list of sites where future missions could land to look for organic chemistry and perhaps determine whether life ever existed on Mars," said Murchie. 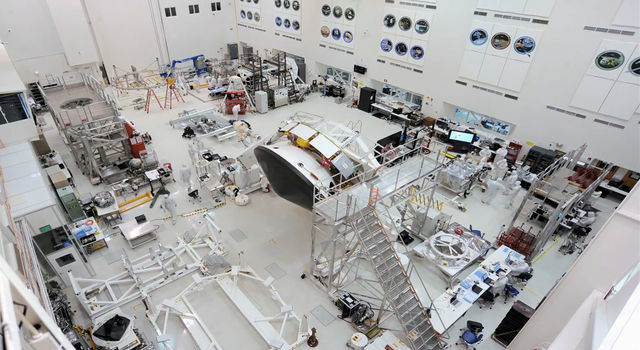 NASA's Jet Propulsion Laboratory in Pasadena, Calif., manages the Mars Reconnaissance Orbiter mission for NASA's Science Mission Directorate in Washington. The Applied Physics Laboratory operates the CRISM instrument in coordination with an international team of researchers from universities, government and the private sector.